If you’re new to archery or the art of hunting, then your compound bow needs high-quality arrows. 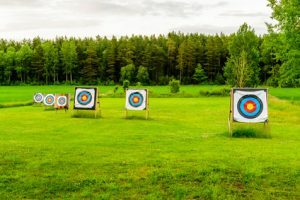 Choosing the best arrows by yourself will make your head spin because there are a lot of things you need to take into account. Even veteran archers and rookie archers experience difficulties when finding the best arrows that can go well with their treasured bows. Arrows are even more important than the compound bow itself. This is because it is the arrow that hits the target and not the bow. 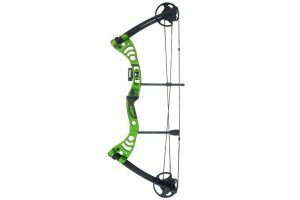 If you have a quality compound bow, then you also need quality arrows. 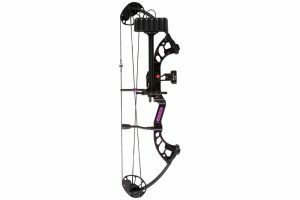 But the issue is this, how do you choose the best arrows for your compound bow? 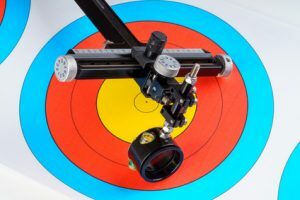 But don’t fret; here is a short and simple instruction that will show you what you need to do in order to get the best arrows for your compound bow. Doing the draw length calculation is very important especially if you don’t have a compound bow. The good part about this method is that it is always accurate, so you won’t expect any inaccurate results. If you think that you’re not handy, then you can visit your archery pro-shop and they will help you to measure the draw length for you. Determining the draw length is not something easy, so don’t do any guess work. 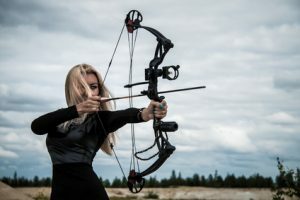 If you’re a beginner to compound bows, then you should take your new compound bow to your local archery pro-shop and they’ll help you choose the suitable arrows for you. If you own an old-fashioned compound bow, then you need to keep in mind that choosing the ideal length of arrows will not be easy. The improvement in design and advances in technology has made the task less difficult and complicated with a modern bow. It is now much easier to choose the ideal length of arrows. What you’re supposed to do is to take the draw length you had measured previously and then add 0.5-inch up to a max of 1-inch. Remember that the length of the broad heads and field points are not included in the measurement. You should do the measurement from the nock groove to the shaft. How heavy an arrow is usually depend on the user’s objectives. Arrows which weigh 5 to 6 grains/pound of draw weight are good for target practice. Five to six grains per pound includes the shaft, vanes, field point, insert and nock of the arrow. 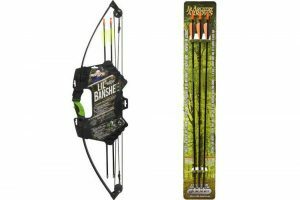 Buy arrows between 300 to 350 grains in total for your compound bow which has 60 lb of draw. Arrows weighing 6 or even 8 grains per pound of draw weight are great for hunting. These weight ranges are great for both practice, as well as, hunting. Always remember that you need light arrows for target practice while heavier arrows are great for hunting since their extra energy enables the arrows to easily penetrate the flesh. Arrows for hunting and target practice are made of carbon, wood, and aluminum. Remember that arrows made from copper are also available, but the disadvantages about them are that they’re expensive and not practical. Carbon arrows can’t bend once they hit something. So, a carbon arrow can snap and even create dangerous shards if too much force is going into them from the draw and bow. Furthermore, if users are not careful, this kind of arrows can easily injure them. Compound bows owners may settle for carbon arrows only if they can afford them because they’re quietly expensive. Carbon arrows are highly recommended as the best arrows for compound bow. Wooden arrows have been used for several years and are hassle-free to make. Nowadays, they can be used with lower power recurve bows and long bows but not suitable for compound bows. Unfortunately, wooden arrows are not a good choice to be used with a compound bow. The arrows can easily break, and they use features for flight. Don’t go for a wooden arrow if you own a compound bow. Aluminum arrows on the other hand are quite heavier and are even less stiff compared to carbon arrows. Furthermore, they’re even a bit heavier than wooden and carbon arrows. Fortunately, aluminum arrows are great choice for a compound bow and it will help you to hunt with ease. You will really love owning them due to their durability and users can cut them into preferred size if needed. 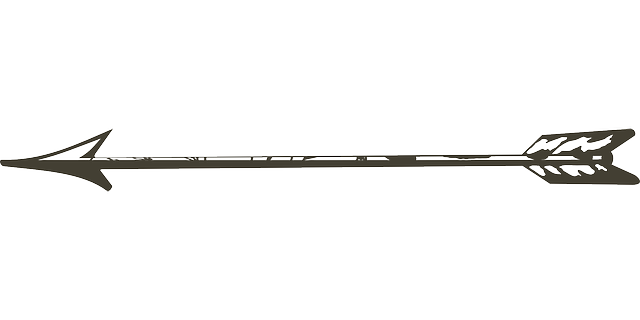 When choosing arrow material, it will be wise to settle for aluminum arrows because there are tons of spine choices available. If you’re under budget, then it will be good to start with aluminum arrows. Also, if you can afford to buy carbon arrows, then it will be wiser for you. Fiberglass arrows have a lot of disadvantages so don’t dare using them with your compound bow. There are no single arrows which are good for you unless you grab them and find out whether they can suit your compound bow. The best arrows need to fit your compound (draw weight), fit you (draw length) and the purpose that is indoor, hunting or outdoor. Hopefully, you’ve learned one or two things here. 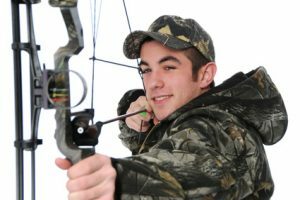 The purpose of this article is to enable beginners know how to choose arrows for their compound bow. There is no need of spending hours studying up on the theory and end up buying arrows that are not effective. The funny thing about arrows is that, there are nothing like perfect arrows. Choose the best arrows for compound bow based on the draw weight, draw length and purpose. What we know is that, there are arrows which are perfect for you. If you want to know that the arrows you bought are perfect for you, then you need to start shooting. Thanks for reading this article and shoot straight!